That’s part of Governor Rick Scott’s new Web ad that he released at the start of the week. In it, Scott drew contrasts between the unemployment rate before his tenure and January’s rate at 7.8-percent. And, with his new campaign slogan “It’s Working,” he also touted the number of jobs that have been created for Floridians. “Well, it’s more than a year earlier than when he started campaigning in 2010. So, I’d say he’s a bit concerned about his prospects in 2014,” said Daniel Smith, a University of Florida Political Scientist. Smith says putting the ad out now could be telling of what Scott thinks of his current popularity. According to some polls, Scott would lose to several potential Democratic challengers—with two particular polls, one by Quinnipiac University and another by Public Policy Polling Institute, showing that Scott would lose to former Governor Charlie Crist, a potential Democratic nominee. But, Scott says he doesn’t take much stock in the polls. “There’s one poll that matters, and that’s November 2014,” said Scott, following a Cabinet meeting weeks ago. And, he has a fellow ally in that regard in Former Senate Democratic Leader Nan Rich. “I take absolutely no stock in those polls. I believe that if you delve into the polls, there are serious flaws,” said Rich. So far, Rich is the only Democratic challenger to officially throw her hat in the ring. She says right now she may not have as much name recognition right now as some of the other Democratic challengers, but she says she’s not going to let that get her down. “I kind of equate it to the story of the tortoise and the hare. I’m just slowly making my way across the state and building this infrastructure and I think it’s going to pay off in the long run,” added Rich. And, she says she’s in the midst of making an ad of her own, which she expects to come out soon. Meanwhile, there’s been speculation former Republican Governor Charlie Crist, who switched parties a couple months ago, could be shaping up for a run, which he has neither confirmed nor denied. But, earlier this month, following an appearance at the Democratic Women’s Club of Lee County, Crist gave Cape Coral’s Fox 4 News more of a definite response that he was mulling over a run as a Democrat. “I'm thinking about it. There's no question about that, I haven't reached any conclusion. I’m just taking the opportunity to listen to my fellow Floridians and give it serious thought,” said Crist. Alex Sink, the state’s former CFO, is another name that’s come up in a potential matchup against Scott. The Democrat challenged Scott in the 2010 race, but lost. But, some polls show she could beat today. “I think if I’m going to make a run, I believe that I ought to make that decision and let people know of my intentions sometime this Summer,” said Sink. But, University of Florida Political Scientist Daniel Smith says she shouldn't wait too long because it could hurt her chances if she decides to run. “So, I think many Democrats are looking for the leading contenders to either fish or cut bait. And, right now, it’s only Nan Rich putting her neck out there and talking about policies that differ with that of the Governor,” said Smith. Besides Sink and Crist, other names mentioned as possible Democratic candidates include Orlando Mayor Buddy Dyer. He had initially considered running as a Democratic candidate, but backed out last month. There’s also Pam Iorio, Tampa’s current mayor, who according to a PPP poll, could have a slight edge over Nan Rich if she were to run today against Governor Scott. The 2013 legislative session may only be a few weeks old, but some experts are already looking forward to the 2014 Governor race. A new poll released this week suggest the Governor who ran on “jobs, jobs, jobs” may lose his come the 2014 election. 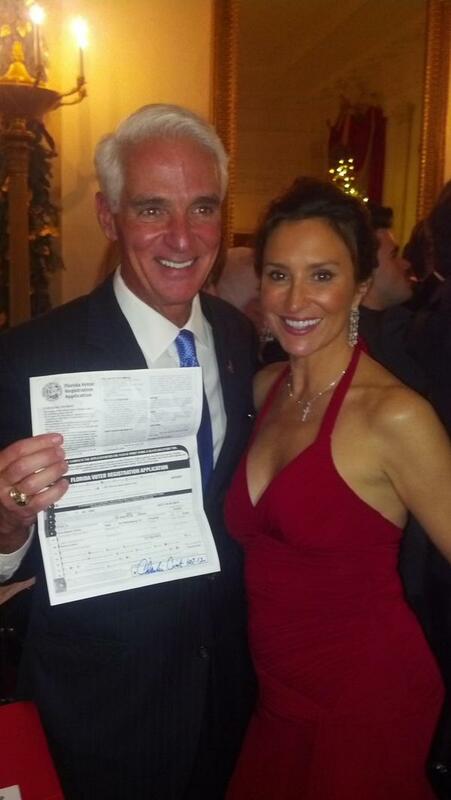 Former Republican Governor Charlie Crist is officially a Democrat. Some say it reaffirms speculation he’s planning another run for Governor in 2014. But, others wonder what this means for the other Democrats who have thrown their hat into the ring. 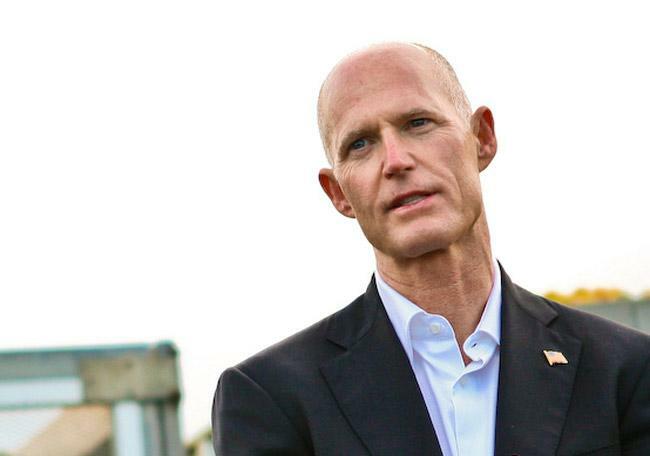 Governor Rick Scott has already said he’ll be running for re-election. Then, there’s former Senator Nan Rich, who’s the first Democrat to announce plans to run against Scott. Could A Charlie Crist Run Be Florida GOP Secret Weapon? Republicans have known for awhile now that Charlie Crist would likely make the switch to the Democratic Party, and the former Republican Governor did so late Friday evening. Now, many are saying the move reaffirms speculation that Crist plans to run against Governor Rick Scott in 2014 to lead the state again. Florida’s Senate Democratic Leader has confirmed she’s running for Governor in the 2014 election. As Sascha Cordner reports, Nan Rich is the first to challenge Republican Governor Rick Scott. Democratic Senator Nan Rich of Weston is term-limited out, but she now wants to extend her time in public office by running as the next head of state against Governor Rick Scott. Rich says it’s clear that she and Scott differ greatly on several different issues.